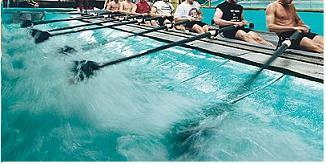 To perform on rowing tests you will need to possess strength, flexibility and endurance capabilities. This is a sport that is really multi-faceted in that it does require high levels of fitness over a wide spectrum so you must be sure your training encompasses this. A rowing step test is an excellent way for those who are involved in this sport to measure their anaerobic threshold. Because this is a very vigorous assessment, a proper warm-up should always be performed beforehand.